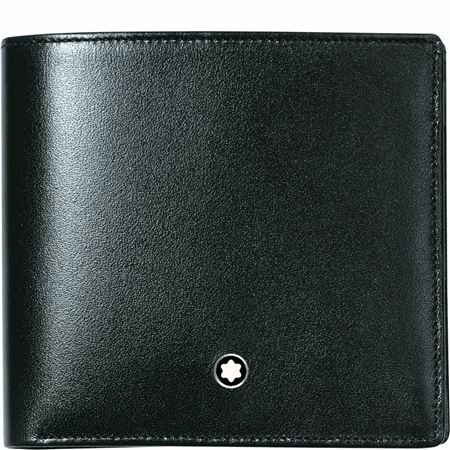 Order your Montblanc Meisterstuck Leather Wallet today from FahrneysPens.com. Fine Pens, Refills & Luxurious Gifts – great prices & fast shipping. Make a professional statement with the Montblanc Meisterstuck Leather Wallet. Inspired by the popular Meisterstuck series of writing instruments, this wallet is sure to aesthetically please men and women around the world. The Montblanc Meisterstuck Leather Wallet is made of black full grain calfskin with black jacquard lining. 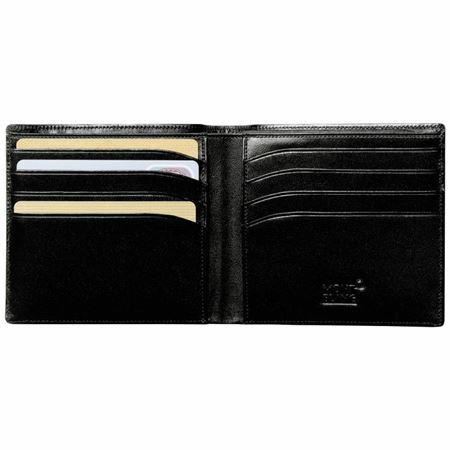 The eight internal slots are perfect for keeping credit cards, business cards and identification neat and organized. Give it as a gift, or purchase one for yourself. The Montblanc Meisterstuck Leather Wallet measures 10.5 x 9.5 cm.